Amyotrophic lateral sclerosis (ALS) is a fatal progressive neurodegenerative disorder of still unknown etiology that results in loss of motoneurons, paralysis, and death, usually between 2 and 4 years from onset. There are no currently available ALS biomarkers to support early diagnosis and to facilitate the assessment of the efficacy of new treatments. Since ALS is considered a multisystemic disease, here we have investigated the usefulness of immortalized lymphocytes from sporadic ALS patients to study TDP-43 homeostasis as well as to provide a convenient platform to evaluate TDP-43 phosphorylation as a novel therapeutic approach for ALS. We report here that lymphoblasts from ALS patients recapitulate the hallmarks of TDP-43 processing in affected motoneurons, such as increased phosphorylation, truncation, and mislocalization of TDP-43. 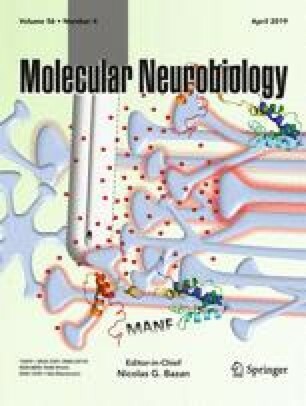 Moreover, modulation of TDP-43 by an in-house designed protein casein kinase-1δ (CK-1δ) inhibitor, IGS3.27, reduced phosphorylation of TDP-43, and normalized the nucleo-cytosol translocation of TDP-43 in ALS lymphoblasts. Therefore, we conclude that lymphoblasts, easily accessible cells, from ALS patients could be a useful model to study pathological features of ALS disease and a suitable platform to test the effects of potential disease-modifying drugs even in a personalized manner. Diana Posa, Loreto Martínez-González and Fernando Bartolomé contributed equally to this work. This work has been supported by grants from MINECO (CTQ2015-66313-R to A.M.-R. and SAF2016-76693-R to A.M.) and Madrid Community (B2017/BMD3813 ELA-Madrid). FB holds a contract from CIBERNED. We are grateful to the patients and healthy volunteers and Drs. AG. Redondo and J. Esteban for providing samples. None of the authors has any conflict of interest to report.